In the hot summer months, there is nothing more refreshing than a cold ‘Gazpacho’ or ‘Salmorejo’, two of the most typical dishes of southern Spanish cuisine. What do you prefer, ‘Gazpacho‘ or ‘Salmorejo’ ? To get this out, try both dishes. For your culinary discovery, we will naturally offer you the most charming accommodations in Andalusia. Here the differences of both specialties…. Both have their origin in Andalusia, with the same basic ingredients tomato, garlic, bread or oil. 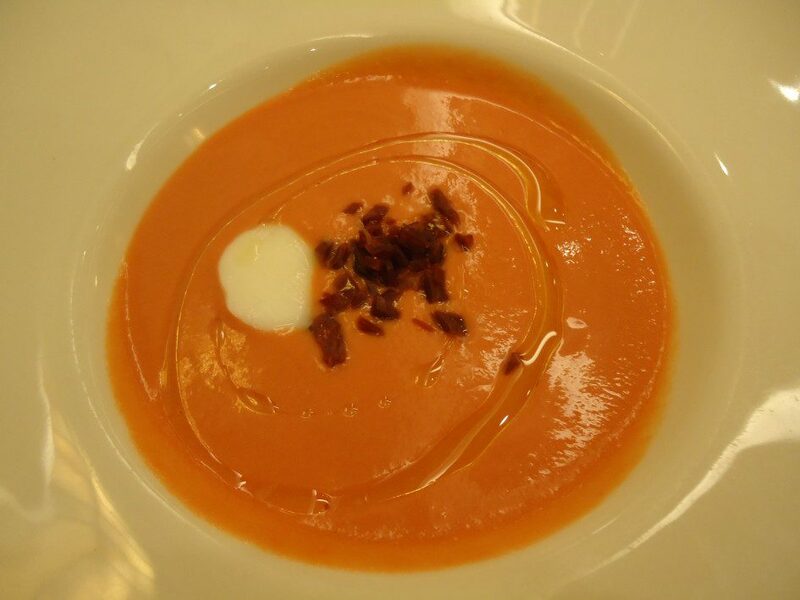 These are `cold soups´ with an appetizing red color, resulting from the pigmentation of the tomato. Here are two recipes – for the authentic Salmorejo Cordobés (cradle of Salmorejos) and the Gazpacho, which contains different vegetables depending on the region in Spain. The main difference between the two recipes: Gazpacho is refined with diverse vegetables, Salmorejo is distinguished by its pure tomato taste. Authentic Salmorejo Cordobés recipe at lostragaldabas.net. One of the recipes for Gazpacho at hogarmania.com. Which of the two is your favorite ?! In the middle of the `Sierra Subbéticas Nature Park´, in the beautiful village of `Priego de Cordoba´, with its typical alleys lined with flowers, is the quiet boutique hotel `Casa Baños de la Villa´. Unquestionably a place of peace, relaxation and interiority. Pamper your body and mind in its Arabian baths with Turkish bath and enjoy a aromatherapy massage. Housed in a typical Cordoban building with 8 hotel rooms, arranged around a beautiful patio, all with unique decoration and personal flair, named with emotions, feelings or attitudes that define the essence of this unique place. The price includes breakfast and a parking space, which should be booked in time, as the places are limited. Start your getaway at the Hotel Casa Baños de la Villa. This attractive boutique hotel is located in the quiet residential area of `El Limonar´ in Malaga, just 5 minutes from the beach and 10 minutes from the city center by car. In ‘Villa Lorena’ you can enjoy a beautiful garden with swimming pool and (sun) terrace, where breakfast, snacks, refreshments and drinks are served. The spacious rooms are decorated in warm and welcoming tones and all have a private terrace, except those on the ground floor. In the basement is a small fitness room, if you want to explore the surroundings by bike, then you have a free bicycle service available. Discover the essence of Malaga at the Boutique Hotel Villa Lorena. This luxury boutique hotel is located in the center of Seville, just 200 meters from the cathedral and very close to `La Giralda´, the `Alcázar Palace´ and its wonderful gardens. Newly opened in September 2014, the hotel is reserved for adults only. This unique hotel is housed in an exquisitely restored 15th century palace. Equipped with all modern comforts and details, skillfully combined with antique wooden ceilings, terracotta floors and delicately restored furniture. The hotel rooms combine the charm of the historical with the functionality and the comforts of today. You can choose between double rooms, superior rooms or 44 m² suites. 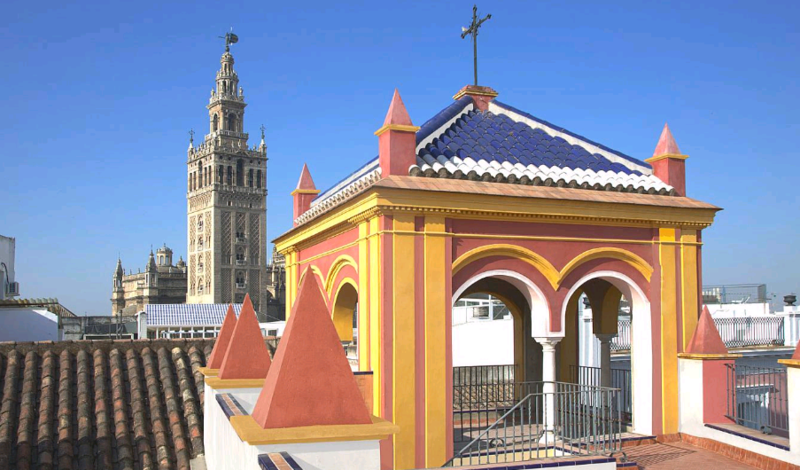 Do not miss the roof terrace of the hotel tower, where you can enjoy the spectacular views of Seville with a drink. Experience the magic of Seville at Pinello Palace. 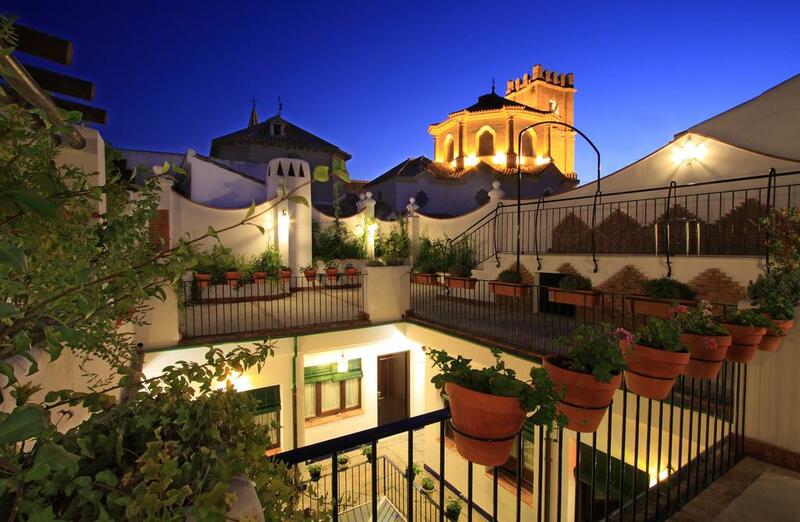 Here are all our charming boutique hotels in Andalusia.